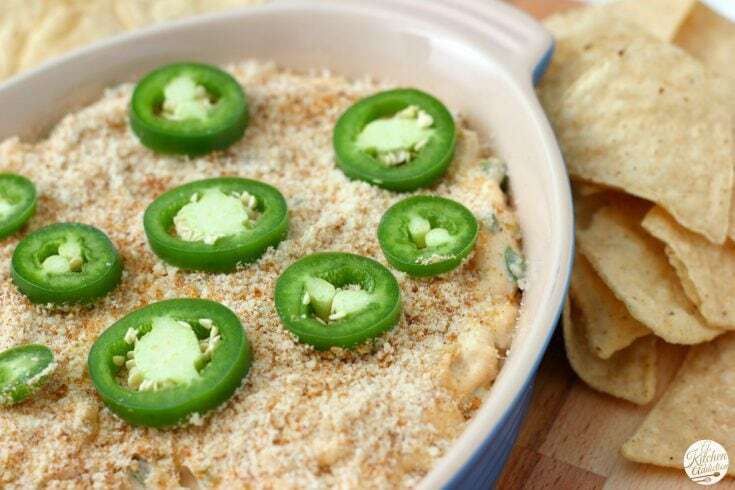 This Slow Cooker Jalapeño Popper Chicken Dip contains all of the flavor of a jalapeño popper without all of the work! An easy hands-off recipe, this dip is great for when you want to spend more time with your family and friends and less time in the kitchen! How’s your game day menu for Sunday looking? If you’re still in need of a few appetizers, I have a hands-off recipe that you need to try! 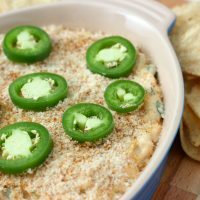 This slow cooker jalapeño popper chicken dip has all the flavor of jalapeño poppers with significantly less work. As you can tell be the two step instructions, it’s super easy to make and you can serve it right from the slow cooker, if you want. Or pack it up and take it to wherever you’re watching the game! 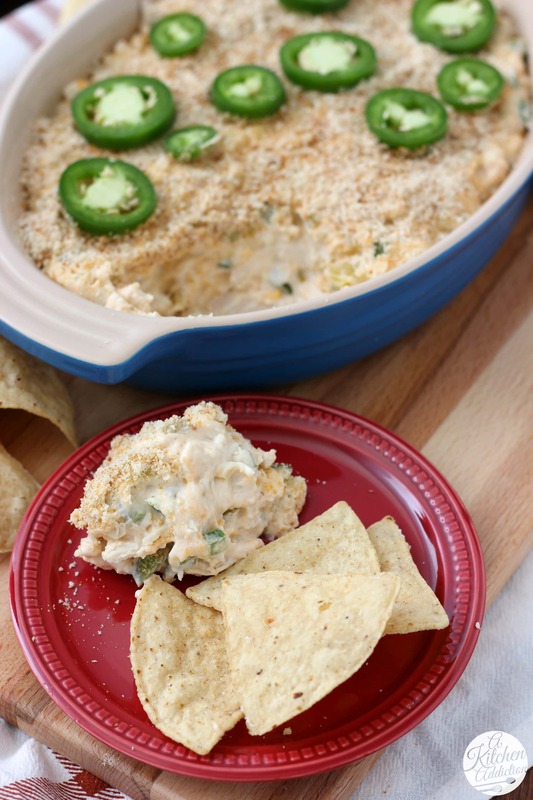 One of the most popular recipes on the blog is this crock pot buffalo chicken dip, so I figured why not take our favorite jalapeño popper dip and turn it into a slow cooker dip. To make it heartier, I added in some shredded chicken. If you don’t want to take the time to cook chicken, you can always use rotisserie chicken. The base of this cheesy dip is cream cheese and greek yogurt. Jalapeños and green chiles add the spice, but you could even throw in some red pepper flakes if you like it extra spicy. If you want it for half time, just throw everything together before the game starts. Cook it on low until the cheese is melted and the dip is bubbly. It’s that simple. Then sit back and enjoy the game knowing that you have this cheesy dip waiting for you at half time! Combine first 7 ingredients together in a 2-4 quart slow cooker. Cook on low for 1 1/2 hours or until cheese is melted and dip starts to bubble on edges. Stir occasionally to ensure even cooking. Top with toasted Panko bread crumbs and grated parmesan cheese and serve. Can’t ever go wrong with a great crock-pot dip–and so easy for game day parties! deeeeelicious! Love that this can be made in the slow cooker. Definitely the perfect dip for game day! I seriously love almost anything with slice jalapenos on top 🙂 I think I have a problem. This looks great, as always! 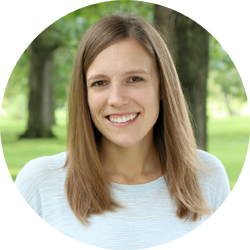 This dip sounds so good, and I absolutely love slow cooker recipes! I’m all about dips for the big game and I love all the flavors of this delicious dip! Wow! This dip has my name written all over it, perfect for Sunday! 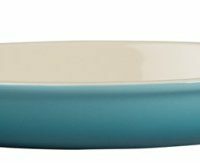 It’s never enough of the Superbowl dips! 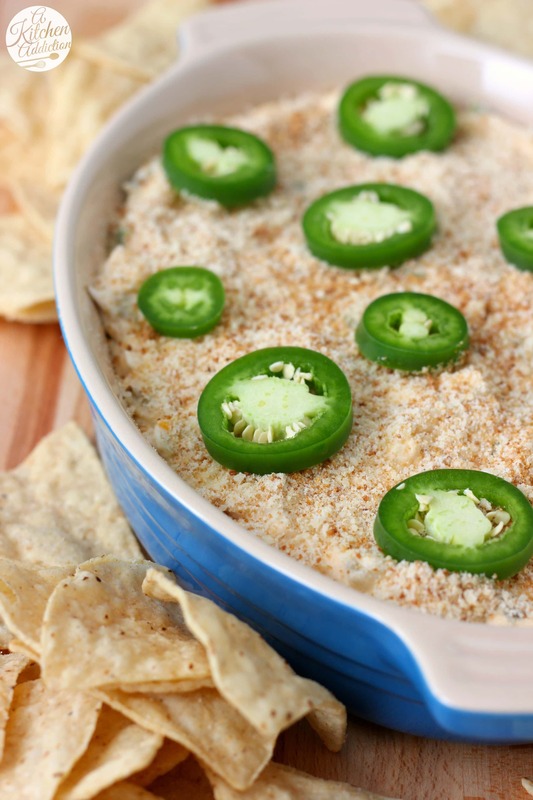 I love this – the jalapenos make the dip even more addictive! And the fact that it’s made in a slow cooker is such a bonus! Slow cooker? No way! I love this! How easy! How delicious! I love the spiciness of this dip – it looks just amazing – I can imagine how often this will get made! Thank you! 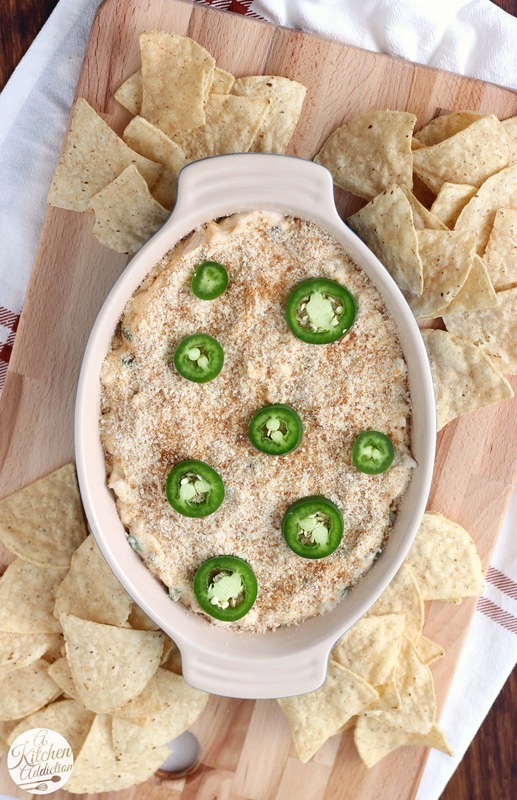 This dip is perfect for the big game tomorrow! Looks awesome and I love that you made it in the slow cooker! 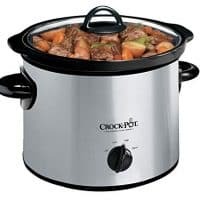 I just LOVE that this is made int he slow cooker = perfect for game day!